Family traditions may bridge the gap between the different family generations. 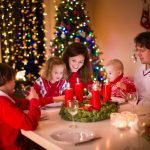 In this second part of the blog, I wished to also speak about how family traditions around Christmas time might also act as a stressor for family members in particular situations. If a family member is, for instance, experiencing financial difficulties, and the family holds a gift-giving tradition on Christmas day, then this family member could experience tension and stress when trying to stick to this family tradition. Another example could be that a family member had experienced a loss or is going through a difficult period, and their family would still wish them to join the celebratory traditions. This is because traditions and rituals might, in a sense, set a standard of what is expected to happen at a particular time of the year, and having to steer away from these standards for whichever reason, might leave a person feeling stressed, ashamed or anxious. Something that could support a family in such situations is that of having an element of flexibility in their traditions. 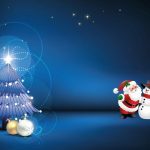 If it is not realistic to stick to the tradition of grand gift-giving at Christmas time, or if gift-giving is a tradition that will lead to tension and stress, then the family can be creative and develop other strategies that could still lead to the same effect. For instance, a family can decide to give each other a letter or a message. At the end of the day, if we think of the meaning behind gift-giving, it would typically boil down to showing the other person that you have thought of them, and there are many ways to pass this message to someone.